A 60-minutes of darknest will happen this Saturday night, March 28, 2015 all over the Philippines. And it must be joined all over the world. Homes and establishments around the city will go on lit-off not because of a blackout/brownout or something but to join the so-called 'Earth Hour' event. The event will starts at 8:30 pm and ends and hour exact this March 28, 2015. Just to give you a few info's, Earth Hour was built to help people unite to take actions againts climate change, and we, I mean Philippines had been a champ since year 2008 'cause lots of establishments - malls, schools, commercial buildings and residencial had been participating all this years. 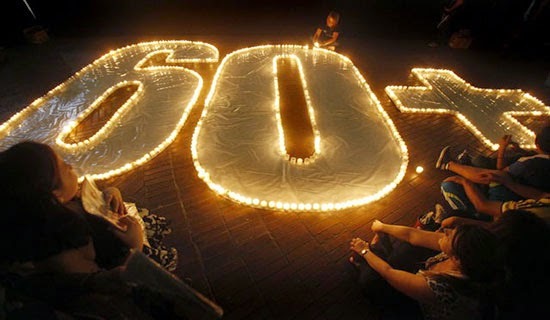 In the Philippines, Earth Hour was being led by the World Wide Fund for Nature (WWF). According to Rappler, aside from being a round-the-globe event, Earth Hour had been the "the world’s largest crowdfunding and crowdsourcing movements, funding dozens of projects, including the construction of fiberglass boats in the Philippines." This is why together with the government, everyone is encourage to join and participate with the event. For just an hour of electricity shutdown, there will be a huge difference to climate change. Comments or suggestions about "60-minutes of darknest in the Philippines for Earth Hour (March 28, 2015)" is important to us, you may share it by using the comment box below.